The 89th annual Academy Awards air Sunday on ABC at 8:30 p.m. ET. For those in the movie business, an Oscar is the most prestigious award an artist can get. But taking home the golden trophy may not always be just about merit -- often, there's artistry in the race itself. What is an Oscar campaign? To win a coveted statue, studios often rely heavily on campaigning, with the purpose being to get your movie seen by as many people as possible through ads, lobbying, parties, screeners and sometimes even, some say, dredging up the competition’s past. These campaigns create a narrative, which is designed to get the right eyes on the film in question. For example, as the actors and director of "La La Land" have made rounds on talk shows and news programs, they've shared personal stories of struggling in Hollywood, highlighting themes of the movie itself. Meanwhile, "La La Land"'s fellow best picture nominee "Lion" featured an immigration storyline in its Oscar ads, framing the movie as particularly relevant in light of President Donald Trump’s controversial travel policies. (Long Way Home Productions/IMDb) Dev Patel, left, and Priyanka Bose in a scene from "Lion." ABC News contributor Chris Connelly says it's all extremely strategic: "There are often attempts to be socially relevant to whatever is going on in the world at the time. Movies are positioning themselves with regard to why you should watch them now," he said. The buzz created by ads and interviews can be the difference between someone seeing your film in a theater, at home or not at all, according to academy voter and publicist Stu Zakim. "When that first screening of 'La La Land' came, there was so much buzz, I was there early to get a good seat,” Zakim told ABC News. "If it's a winner coming out of Sundance [Film Festival], of course I’m going to pay attention to that. But I’m not going to kill myself to see something [in theaters], if I know I’m going to get a screener." Movies need campaign buzz for members to actually watch them, according to Zakim. If a movie's got buzz because of a good campaign, he says he'll keep an eye out and go see it; if it doesn’t, he says he’ll just watch it at home. This is why Zakim says campaigns are important. If you can’t get members excited enough to see the movie in theaters, your chances of winning may not be as strong, Zakim says. However, Zakim says, the art of campaigning is just the beginning. "The personal campaign is so much more important to me than the ads or any media interview talent might give. The biggest part [of campaigning] are these meals. 'Moonlight' had five, six, seven different events in New York alone where we [academy members] had a chance to interact with the director and the talent. What it's really about, and I wish they did this in politics, is that you actually get to sit down around the table with ['La La Land' director] Damien Chazelle and say 'Tell me about 'La La Land.' It puts the membership directly in front of the people who want to get the awards." 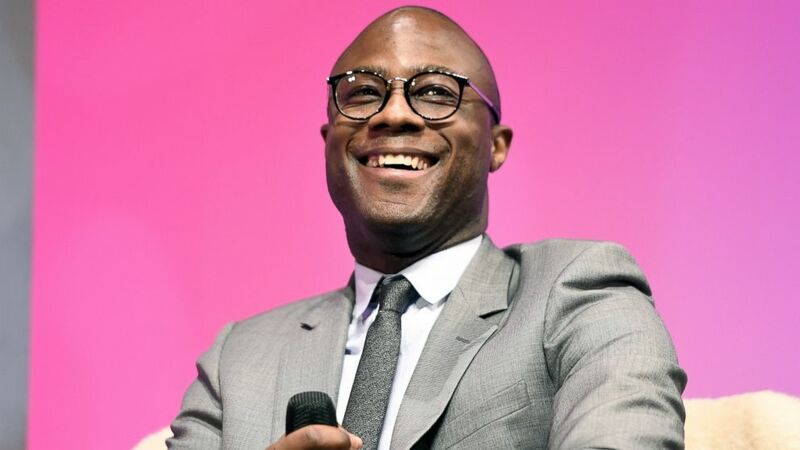 (Matt Winkelmeyer for SBIFF via Getty Images ) Director Barry Jenkins of 'Moonlight speaks onstage at the Outstanding Director's Award during the 32nd Santa Barbara International Film Festival at the Arlington Theatre on Feb. 7, 2017 in Santa Barbara, Calif.
As an almost 40-year veteran of the business, Zakim says he has witnessed the academy alter what campaigns are allowed to do almost every year. "This year was very ridiculous, where they were trying to control what you can serve [at luncheons]," limiting extravagant spending on food, Zakim claims. He said even the packaging on screeners sent to members had to lose the cover art. "It’s nothing like you would see if you bought the DVD because they don't want anything to influence your vote." He says the logic behind reining in campaigning is the hope that you’ll be influenced less by campaign tactics and more by the film. Funded by the studios, an Oscar campaign can cost anywhere between $3 million to $10 million, according to research by Variety. This past summer, actress Susan Sarandon called for "finance reform" on Oscar campaign spending. “It’s a subjective, lucky thing that you were in a movie that had someone that’s willing to spend millions of dollars [on campaigning],” she told Variety in May, explaining if studios' budgets were limited, it would be a fairer race. The academy did not respond to ABC News' request for comment on this story. However, its regulations make it clear that once nominations are announced, film companies are prohibited from inviting academy members to non-screening events, such as luncheons, that promote eligible or nominated films. The one exception are other award events. Do they have to like me, really like me? 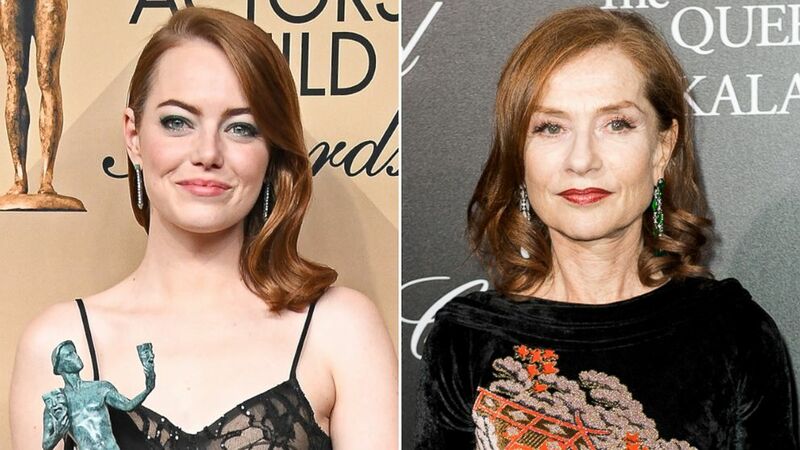 (Getty Images) Emma Stone, left, and Isabella Huppert are competing for the best actress in a leading role Oscar. While familiarity can tee you up for a win, if somebody’s work is irrefutably strong, it will draw attention. Likability can help you with certain members, but Connelly says that it's not a determining factor. "I don’t think you have to be the cuddliest person in town to get the nomination. I think if you look at the nominations, they aren’t Ms. or Mr. Congeniality up there," he said. "Certainly making yourself visible is important. It’s certainly a sign that someone takes it seriously." 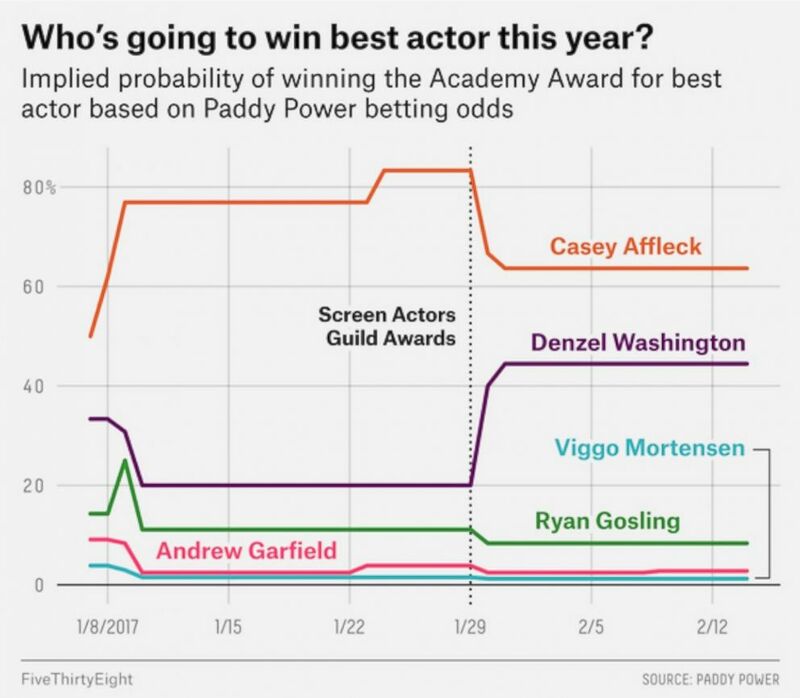 Every Oscar season we see early calls of favorites falter. Early, early Oscar buzz had Natalie Portman poised for a second win for her role as Jacqueline Kennedy in “Jackie” but the race has now shifted focus to actress Emma Stone’s turn in "La La Land." 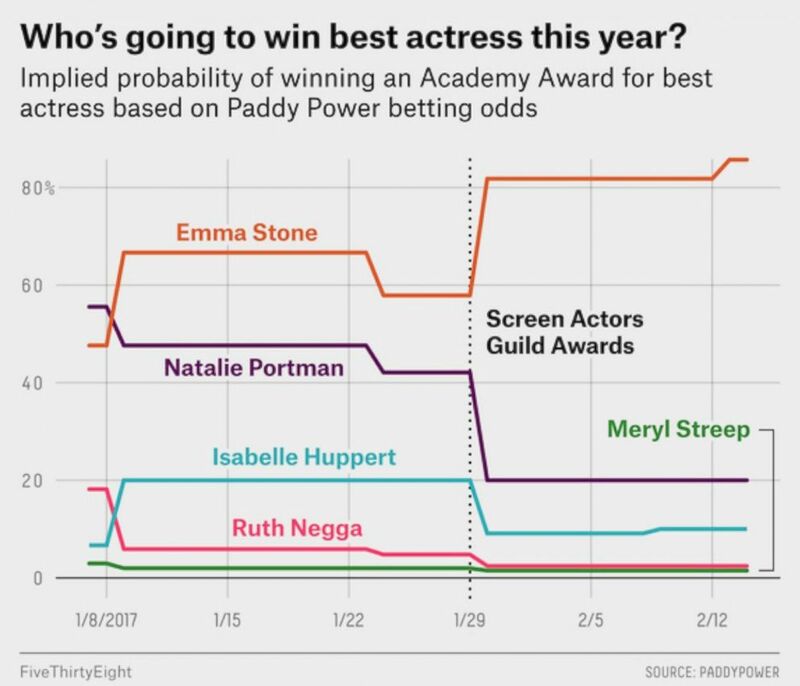 “Here is someone [Portman] who has already won, going up against three people who haven’t and Meryl Streep. But most of all, I think the academy responded more to Emma [Stone] and Isabelle [Huppert] and they didn’t really love the movie 'Jackie'. It’s not to say she can’t still win, but she faces more of an uphill climb for those reasons,” Feinberg said. In a race this complex, there is no sure way to approach the road to the Oscars. Feinberg says it’s not just about the campaign or just about the performance. Zakim agrees, admitting he's influenced by tactics, as well as the art itself. "Performances that shine, I mean, you can never deny brilliance. But the bottom line is the interaction. Basically, we are like regular people, so having the opportunity like that to question anyone [famous], it’s great," Zakim said. 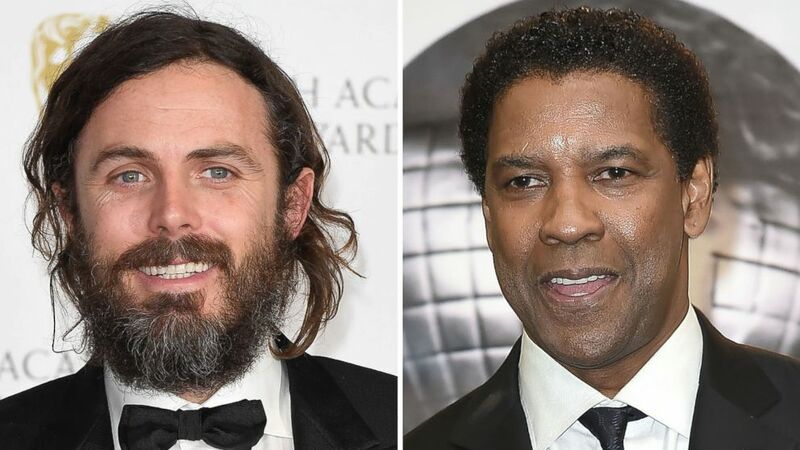 (Getty Images) Casey Affleck, left, and Denzel Washington, right. From time to time, campaigning can get a little ugly in what's known as a "whispering campaign." This year, one is underway aimed at actor Casey Affleck, who is nominated for his performance in "Manchester by the Sea," Feinberg says. The idea behind a whispering campaign is to circulate rumors to certain people, in this case academy members, to damage someone's chances of winning. "If you’re involved in it, it can end your career," Zakim said. Since "Manchester by the Sea" premiered, Affleck has become a favorite to win best actor, and took home the Golden Globe in January. However, as praise for his performance picked up steam, whispers soon began to circulate about how Affleck was accused of sexually harassing women who worked on his 2010 film “I’m Still Here.” He has denied the allegations and settled out of court with the two women for an undisclosed amount. 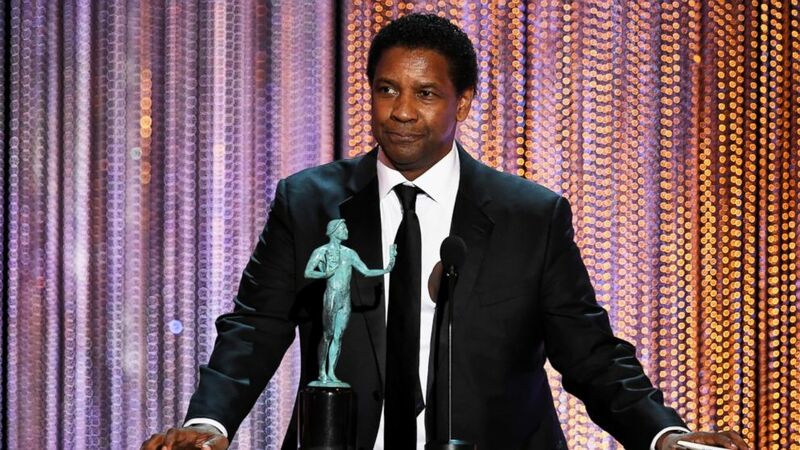 (Kevin Winter/Getty Images) Denzel Washington accepts outstanding performance by a male actor in a leading role for "Fences" onstage during The 23rd Annual Screen Actors Guild Awards at The Shrine Auditorium, Jan. 29, 2017, in Los Angeles. To be clear, the other actors nominated for an award don't necessarily know what is going on behind the scenes or condone it, Feinberg adds. While Zakim calls talk of Affleck "pure character assassination," he admits it can impact votes -- even his own. "I think it’s impossible as a human being [to separate the art versus the artist]. We can all try our best, but there are going to be factors that cause people to think twice," he said. "I try to stay as objective as possible, [but] I think it affects which films members take off the stack [of screeners]." The impact of any negative press for Affleck this year is questionable after a very back-and-forth awards season, with Denzel Washington taking home the SAG award, considered the most highly predicting award for the Oscars, while Affleck nabbed a Golden Globe and a BAFTA (Washington was not nominated in this category). But Feinberg says that Washington's SAG win might not be a result of the whispering campaign at all. “I don't think you can rule out it had some effect but I think -- there is Denzel and he did a role that he had done on Broadway for some time and SAG is made up of actors, many with theater backgrounds,” he said. Zakim thinks the negative press could have an effect. "I do think if Casey doesn't win, it will be solely because of this." 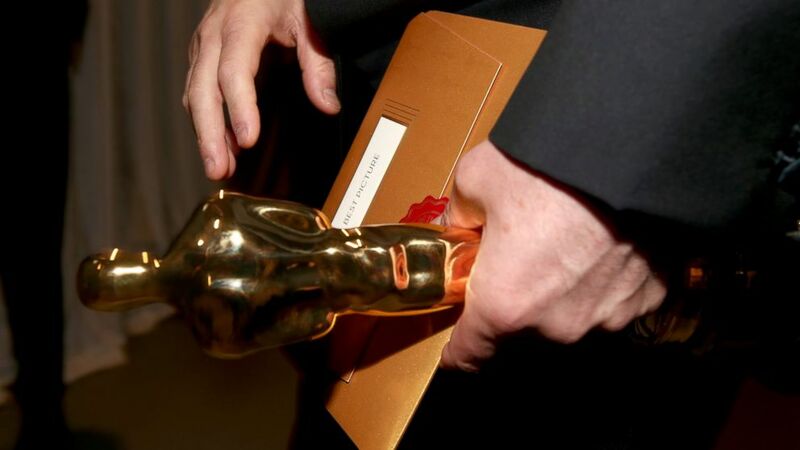 (Christopher Polk/Getty Images) The Oscar statuette for Best Picture is seen backstage during the 87th Annual Academy Awards at Dolby Theatre, Feb. 22, 2015, in Hollywood, California. There is no way to put the academy in a box. With a makeup of more than 6,000 members, you can never say for certain how big an impact campaigning has on the final vote. “Somebody votes for someone because they like them, somebody votes for somebody else because they don’t like them. You don’t get to hear from a large enough sample size to really know [how they vote],” said Feinberg. One thing Feinberg says you must keep in mind: Academy members are human beings with just 24 hours in a day like everyone else. Zakim admits it can be a struggle, but it's also a responsibility. "I try to watch every movie. Even if I hear it [is bad]. I prioritize what I want to watch based on what I’m hearing. I have to be economic with my time." Oscar voting closed on Tuesday, and many voters stayed undecided until that last day, Feinberg says. It's a decision Zakim says he does not take lightly. "We are professionals who take pride in our work and are in the academy for this reason. We are in this business to be entertained, find entertaining movies and work with those involved, regardless of race or gender. It’s really a privilege to be a member of this organization, and I take my membership seriously."